Ever since I discovered Silk Almondmilk a few years ago, my list of almond milk recipes has gotten longer. 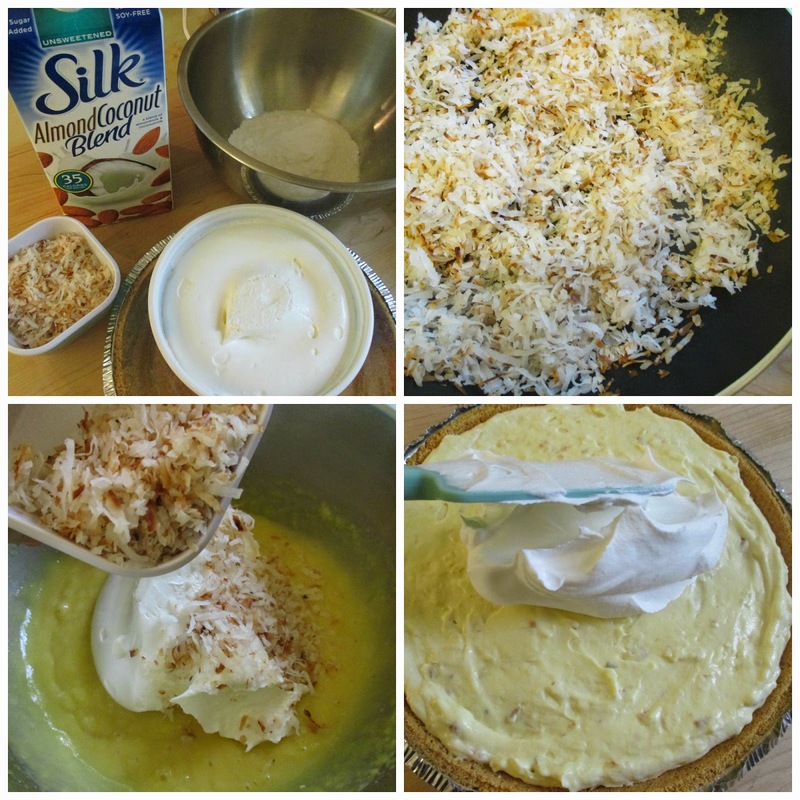 I wouldn't dream of making this delicious, family favorite, Coconut Cream Pie without Silk Almond Coconut Blend. It lends a rich flavor to my recipe, and I love how Silk contains 50% more calcium than dairy milk. I know quite a few people who are lactose intolerant, and have to drink non-dairy products. Thankfully, my family and I don't have this situation to deal with. We simply love the taste of Silk. During the warm summer months and no school schedule, my family isn't always in the mood for a real breakfast. But I know how important it is to start out the day with something nourishing in our system. That's when I use Silk Almondmilk, yogurt, a banana, and some berries to whip up a delicious fruit smoothie. And with the new Protein + Fiber blend, those smoothies are even more nutritious. I drink Silk Almondmilk daily. There are always a couple of different flavors in the refrigerator, and my grandchildren love it, too. I use it for drinking, cooking, and even making fruit-based popsicles during the summer. The kids love it, and are always asking me to make 'Nana's popsicles', which I'm happy to do. 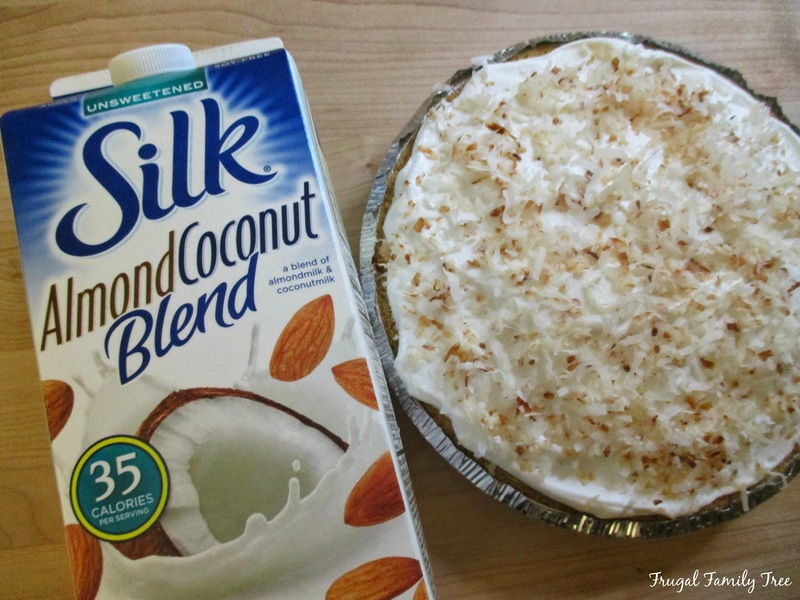 One of our favorite summer time desserts is frozen Coconut Cream Pie. I put it in the freezer and then let it thaw out for about twenty before serving it. It tastes delicious when it's so cold, and there is never a piece left over for seconds. The recipe is embarrassingly easy, but toasting the coconut is the secret to an unbelievably great coconut flavor. I picked up the Almond Coconut Blend and the new Almondmilk Protein + Fiber at Safeway. They really have an amazing variety of Silk flavors to choose from. I'm a big Safeway fan, and can't wait for the grand opening of one that is right near my house. Like I said, this recipe is super easy to make, but the great taste doesn't reveal that. This pie is easy enough to whip up for a weeknight dessert, or fancy enough to impress your guests at a dinner party. Beat pudding mixes and Almond Coconut Blend in a large bowl with a hand held mixer for 2 minutes. Stir in 1 cup thawed topping, and 3/4 cup toasted coconut. Mix well, then pour into crust and smooth out. Top pie with remaining thawed topping and remaining coconut. Place in freezer. Let pie thaw 20 minutes before serving. To toast coconut, place desired amount in frying pan over medium heat. Stir frequently, and cook until toasted lightly. Drinking #SilkAlmondBlends is a great way to enjoy a cold, delicious tasting, dairy-free beverage during the summer, and it contain no artificial flavors or coloring. 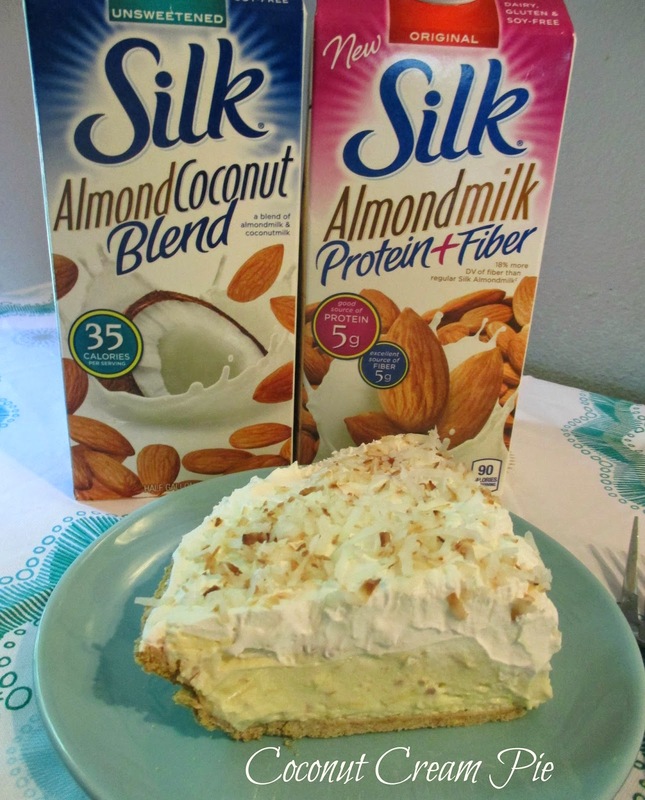 Try Silk Almond Coconut Blend, and the new Silk Almond Protein + Fiber. I'm stocking my fridge with these two great flavors to make smoothies, popsicles, and other favorite desserts. You can find Silk on Facebook, and on Pinterest, where you can find some great recipe ideas. Yum! I love coconut this looks delicious!